Nested close to Baden’s Limmat River, next to the Langmatt Museum, Kurtheater, Kurpark, Grand Casino and just a few hundred metres from the city’s train station, Swiss-Belhotel Du Parc, Baden, is perfectly positioned for all visitors to this scenic Swiss city. Alex is set to open its doors on the western shore of Lake Zurich in the spring under the management of Campbell Gray Hotels. Facing the Swiss Alps, the 224-room hotel is part of an extensive transformation that seeks to build on Andermatt’s growing status as a year-round destination for visitors. Gstaad’s chicest boutique bolthole, Le Grand Bellevue, will introduce an exclusive new wild wellness experience this summer. Martina Hingis began frequenting the Grand Resort Bad Ragaz during her time playing competitive tennis, and now, as an official ambassador, the former champion will be spending even more time at the property. Etihad Airways launched its flagship Boeing 787 Dreamliner on the Abu Dhabi–Geneva route earlier, as the launch of the summer schedule. Geneva is the second Swiss destination after Zurich served by Etihad Airways’ next generation aircraft which is fast becoming the backbone of the Abu Dhabi-based carrier’s long-haul fleet. The new 160 room five-star luxury Waldhotel Health & Medical Excellence in Lucerne, Switzerland, has opened its doors after an extensive regeneration programme. Hard Rock Hotels has announced the opening of their first hotel in continental Europe, Hard Rock Hotel Davos in the Swiss Alps. The hotel is located in the heart of the city in the historic Alexander House, built in 1882. 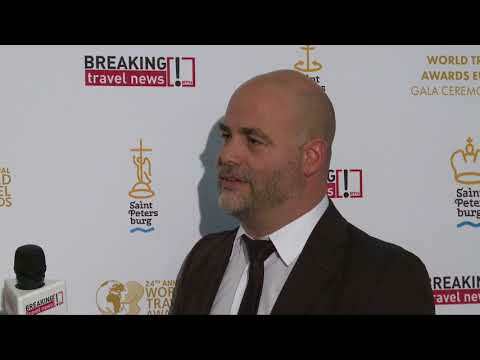 Vincent Dubi, marketing director, Geneva Tourism & Conventions Foundation, speaks to Breaking Travel News about the honour of being recognised by the World Travel Awards. The Ritz-Carlton, together with the Manz family, has announced the completion of the renovation of The Ritz-Carlton Hotel de la Paix, Geneva. Formerly known as Hotel de la Paix, Geneva, the 152-year-old hotel underwent a multi-million dollar renovation, extensive re-design and refurbishment, marking a new era in the evolving story of one of Geneva’s most elegant and historic hotels.